When Tim Mayotte was a student at Stanford, he used to travel to the La Jolla Beach & Tennis Club to play in the Pacific Coast Men's Doubles Championships. "I don't know if it's nostalgia or what, but I used to always get such a kick out of playing there," this former top 10 player remembers. "Obviously the setting was so great—it's right on the beach. There was something about the courts—somebody told me that they were built way deep, that they went way down, so there was kind of a solidness about the way the ball bounced off the court. For me, it was the ultimate hardcourt experience. It sticks in my mind as one of the great places." The 12-court La Jolla Beach & Tennis Club is one of the great player havens. It has not only a tennis host available seven days a week to match players but also one of the strongest stables of players to draw from. That game matching aside, however, its clinics and round robins are clearly geared to mere tennis mortals, with activities for B and C players. To get a sense of the atmosphere of LJBTC, it is easiest to think of it as a club that also happens to have lodging (in fact, there is a three-year waiting list to join, despite a hefty $75,000 membership fee). Often guests come for a week or more at a time, frequently year after year. "Guests come back the same time every year," notes Bill Kellogg, grandson of the club's founder. "If they book the same room for the same week two years running they get priority." During any given week in the summer, 60% to 70% of the guests have typically been there before. To encourage socializing, the club makes barbecues available to those who want to grill on the beach and twice a week sets up to larger shared grills for anyone to use. "People end up sharing desserts, or whatever," says Kellogg. Its tennis pedigree dates to 1935 when William Kellogg, a newspaperman, bought the La Jolla Beach & Yacht Club, installed four tennis courts, and began to run tournaments that featured the likes of Bill Tilden, Bobby Riggs, and Jack Kramer. There are photos on the wall outside alongside Court 2 of such tennis notables as Maureen Connelly, Dennis Ralston, Rafael Osuna, Stan Smith, Jack Kramer, Pancho Segura, and Frank Sedgman among others, and there's a case full of tennis trophies inside near the Walnut Lounge that includes many of the hundreds of gold balls won by Dodo Cheney, a frequent competitor here. The Pacific Coast Doubles, the fifth oldest tournament in the country, takes place there every March, drawing players from such formidable tennis powerhouses as Stanford, UCLA, USC, and Pepperdine. It also hosts three USTA national hardcourt championships: the Men's and Women's 40s, the Father and Son, and the National Women's 50s-80s Championships. Today there are a dozen hard courts for 90 rooms and suites, none more than a few steps from a private beach. Tennis Staff. 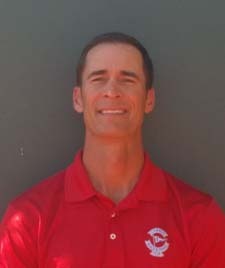 Tennis director Conan Lorenzo, who played Division I tennis at Washington State University, has more than a decade of professional teaching experience, including a five-year stint as Director of Junior Programs at San Diego's George Barnes Junior Tennis Center. After expanding La Jolla's junior programs, he moved up to the overall directorship. He continues to enhance the already solid programming, pointing to the high quality of the teaching staff. "Half of our pros are high-performance certified," he notes. He wants guests to feel they're part of a family and welcome at any of the tennis activities. "Anyone who comes here is going to get a chance to play any kind of tennis they want," he told me. Tennis Programs. The weekly roster runs the gamut from private lessons to clinics, workouts, Cardio tennis, and adult mixers. The yearly calendar is studded with tournaments—the Pacific Coast Men's Doubles Championships that drew Tim Mayotte here among them—both spectator and participant. Game matching has a very high priority. And there are junior academy programs over the year-end holidays and in summer. Courts & Fees. 12 hard courts, 8 with lights. Court fees: None. Beach. The resort fronts 2,200 feet of private coastline. Dolphins can often be seen swimming off shore, and there are kayaks for rent nearby. And because this is a private beach, liquor is allowed (something not true of public beaches in San Diego County). Golf Courses. The resort has a 9-hole par-3 golf course and a golf academy, both for adults and juniors. Spa & Fitness Center. The fitness center comprises two adjoining rooms, one with about a dozen Cybex stations plus dumbbells and balls; the other with about the same number of cardio pieces and TVs. Massage services are available next door. And ... A passageway from the beach leads to a Junior Olympic outdoor heated swimming pool with lap lanes, set in an inner courtyard. 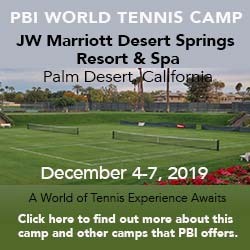 The resort's emphasis on tennis extends to juniors who have a wide range of programs. Those include year-round after-school and weekend group tennis clinics and junior matchmaking. For more information about these programs, contact the tennis department at 858-551-4616. Lodging ranges from standard rooms to kitchen-equipped three-bedroom suites. Though bathrooms tend to be on the small side, the livingrooms of the suites are very spacious. Fifty-one of the rooms either face the beach or are a few steps from it. A portion of the oceanfront suites have been remodeled. All rooms have complimentary high-speed Wi-Fi internet access and flatscreen TVs; most have kitchens. There are several dining options, all with oceanfront settings: the private members Club Dining Room, the Shores (next door in the La Jolla Shores Hotel), and most importantly the Marine Room, a restaurant that gets stellar ratings from locals both for its inventive cuisine and its unusual location: it protrudes so far into the beach that waves sometimes crash against its foundation. What all three venues share is an emphasis on farm-to-table cuisine, with Executive Chef Bernard Guillas going so far as to make arrangements directly with farmers to grow produce to his specifications. Lodging ranges from a basic hotel room with a courtyard view (though some have kitchenettes) to a 1-, 2-, and 3-bedroom oceanfront suites with full kitchens. Travel Instructions. By Car: From the north, head south on Interstate 5, exiting to the west on La Jolla Village Drive. Follow it to the third traffic light and turn left on Torrey Pines Road. Proceed to the fifth traffic light and turn right on La Jolla Shores Drive. Go one block to Paseo Dorado, turn left, and that takes you to the property entrance. From the south, head north on I-5, exiting to the west on La Jolla Parkway. Follow it to third traffic light and turn right on La Jolla Shores Drive. Drive one block, turn left onto Paseo Dorado, follow it to the property entrance. General Tourist Information. There are thee sources of information: for the immediate area, contact Promote La Jolla Herschel Ave, La Jolla, CA 92037 (LJ Visitor Center). Phone: 858-454-5718 7966. For the northern region of the county, visit the San Diego North Convention & Visitors Bureau website or contact them at 360 N. Escondido Blvd., Escondido, CA 92025-2600. Phone: 800-848-3336. And for the county as a whole, visit the San Diego County Convention & Visitors Bureau website or contact them at 2215 India St., San Diego, CA 92101. Phone: 619-236-1212.